Distant Fisher peak is the highest mountain in the Southern Rocky Mountains. It's a prominent feature of Cranbrook's eastern skyline. 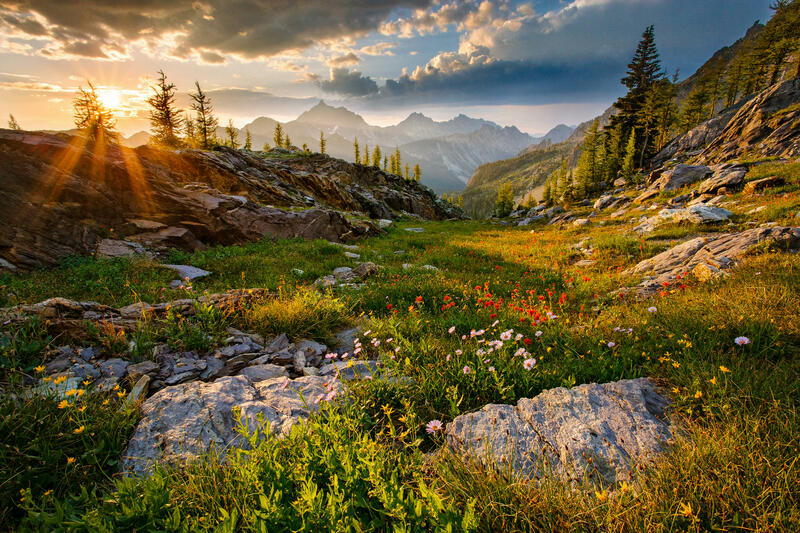 The near-by alpine meadows are bursting with wildflowers during the summer.